Here we offer several links you may use to find more educational information about marine and coastal topics, as well as how to lead a responsible and sustainable lifestyle. Armonía Ecológica: Blog with great advice on how to carry out a sustainable lifestyle. Biología Marina Costanera: This site hosts documents related to Puerto Rico’s marine environment. Bridge: Marine education resources sponsored by NOAA Sea Grant and the National Marine Educators Association. Capítulo Estudiantil Sociedad Ambiente Marino: The main objective of this society is to orient, educate and promote conservation efforts. CariCOOS: This website gathers coastal information and weather predictions gathered by satellite imaging, oceanic instruments, and numeric models, and brings users an integrated visión about the past, present, and predictive coastal conditions in the Caribbean region. 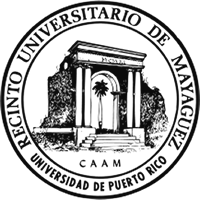 Centro Interdisciplinario de Estudios del Litoral (CIEL): CIEL dedicates its efforts to the interdisciplinary study of coastal processes. Estuario de la Bahía de San Juan: Information on marine environments, focusing on estuaries. Fish Base: This website is sure to answer any questions you might have about fish. Instituto de Arrecifes de Coral del Caribe: Current information and research projects about the coral reefs within the Caribbean region. Kids Cove: Official website for Jean-Michel Cousteau’s Ocean Futures Society, aimed at exploring the ocean and educating the public about its importance. La Regata: Nautical newspaper with information about fishing, aquatic recreation and boating. 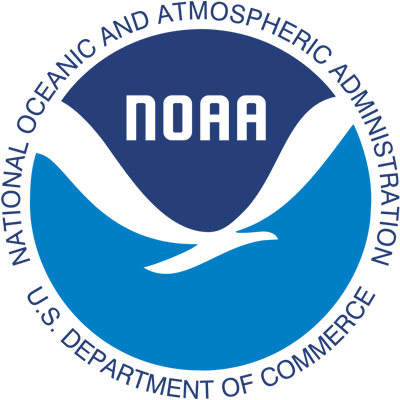 NOAA Education Resources: Offers educational material concerning oceans and atmospheric sciences. NOAA NOS: This website features educational activities and games related to marine environment topics. NOAA Photo Library: NOAA’s official photography gallery, this site showcases the images captured by scientists and staff during their fieldwork. Ocean Portal by The Smithsonian Institution: Electronic archive with photographs, videos, and up-to-date information about the oceanic environment. Ocean World: Contains information, activities, and other educational material about the ocean, aimed at students and educators. Scuba Dogs Society: Their mission is spearheading conservation efforts for our coasts and hábitats in general that may improve and enrich our quality of life, from the mountaintops to the heart of the city, along the shoreline and down into the infinite oceanic depths. Sierra Club – Puerto Rico Chapter: Their mission is exploring, enjoying and protecting our natural treasures. Smithsonian: This site allows educators to build their own models and methods for informal education and link them with other, formal education systems. The Ocean Project: Gathers organizations and seeks to inspire actions that protect the ocean. UPRM-Department of Marine Sciences:: General information about Puerto Rico’s marine environment. U.S. Fish & Wildlife Service: Let’s Go Outside! : This site showcases educational activities for children, using the environment and the natural resources within, as their classroom. Vida Marina: Website showcasing three conservation projects performed in Puerto Rico. There are educational information and lectures available. Water: Education & Training: This website, created by the Environmental Protection Agency (EPA), hosts information about water as a natural resource. Woods Hole Oceanographic Institution: Offers resources for teachers and students along the K-12 levels. Yo Limpio a Puerto Rico: Educational program aimed at educating and mobilizing the population towards recycling and environment care in Puerto Rico.